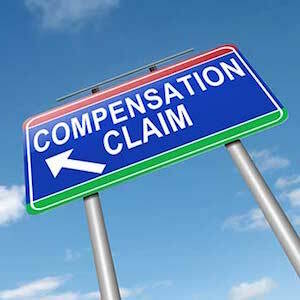 ‘Damages’ refer to losses sustained due to physical or psychological injury for which you can be compensated. In cases involving the development of a bed sore (also referred to as decubitus ulcer, pressure ulcer or pressure sore), damages are assessed in terms of money compensation. In order to recover damages, you first must establish that the nursing home or hospital was responsible for the development of the bed sore. Like all injury cases, bed sore cases require the injured person- or their estate- to prove the facilities negligent care resulted in the development of the bed sore. Pain and Suffering: Both past and future pain and suffering is an element of damages. Disfigurement: Any type of physical change on the outside of your body. This includes the scars left from ‘healed’ bed sores. Disability: Things you are unable to to do after you developed bed sores that you were capable of doing before the bed sores developed. Assessing damages in bed sore cases can be difficult. Because many bed sore patients also suffer from other medical conditions before the bed sore developed, it is important to distinguish what injuries are directly related to the bed sore as opposed to other medical conditions. The actual award for each element of damages may be determined by a judge, jury, mediator or through negotiation between a lawyer for the person and the insurance company for the nursing home. Punitive damages may be awarded if a facilities conduct is reckless or rises to a level of willful and wanton conduct. Unlike damages designed to compensate the injury victim, punitive damages are designed to punish the wrongdoer.